Home Calculations how to Power consumption [How To] Select Pump and Motor, Line sizings. I said it is the most irritating because many of the Engineers during their Engineering studies they feel it difficult to get through that subject and after once crossing that subject, it will be the most appreciable subject that a student ever choose, Now i'll go deep into matter but before that you need to gain some Knowledge regarding this topic or else it will be difficult to digest the main topic. a Pump is something like an equipment which is supposed to transfer the Liquid matter from a low sea level point to high sea level point, simply from bottom to top through lines applicable, in other words mechanical energy to kinetic energy. 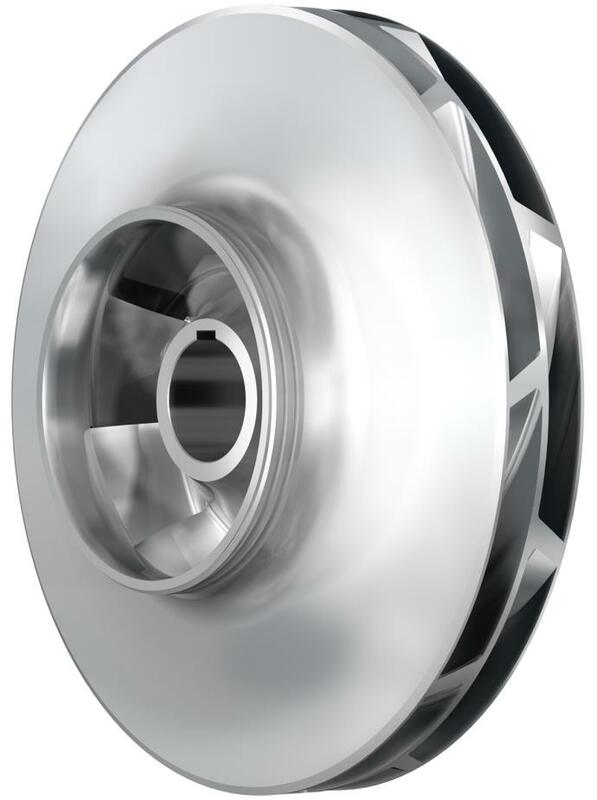 Here the Kinetic Energy will be delivered through the Impeller that has been Shown inside the pump cross-section. The Parts can been clearly in below pic. And What is a Motor?? 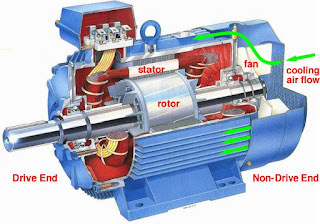 a Motor is the source connected to a Pump which supplies the required high frequency motion to the Pump for transferring the liquid, simply which converts Electrical energy to Mechanical Energy. The Above Motor pic shows you that How the produced Mechanical Energy will be delivered through its Drive-End shaft. And if you wanna have an idea about How this Electric Energy is converted to Mechanical Energy, I'll explain you later. Usually pumps will be classified into 3 types, Reciprocating, Rotary, Centrifugal, but in industry point of view 99% Centrifugal pumps will be considered, and these Centrifugal pumps can be classified into two Types, 1. Self priming pumps, 2. Non- Self priming pumps. For Explanation regarding these two types see the below pic. If you clearly see the Self priming pumps will try to fill the impeller cavity itself before pumping to discharge end, so the advantage here is even if the suction end is empty also it can avoid priming, that means these pumps don't need marines connected to the suction end to hold on some level in line. 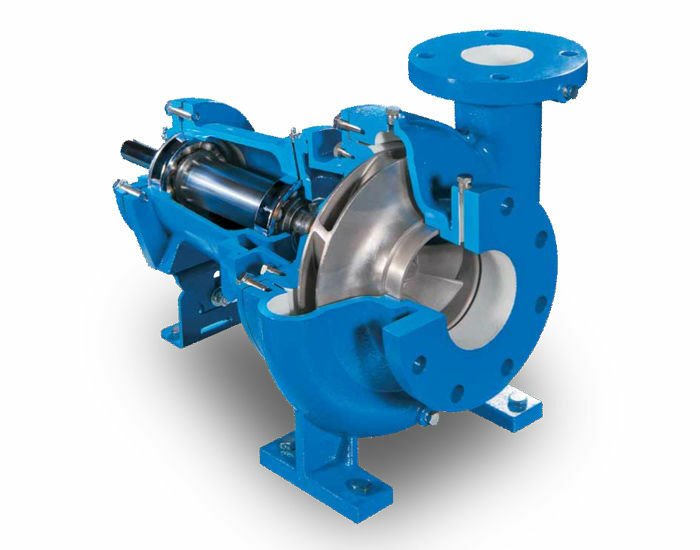 These type of pumps will be regularly used in ETP flow lines as they will have somewhat high level suspended solids, and usually these self priming pumps will have a closed impeller. 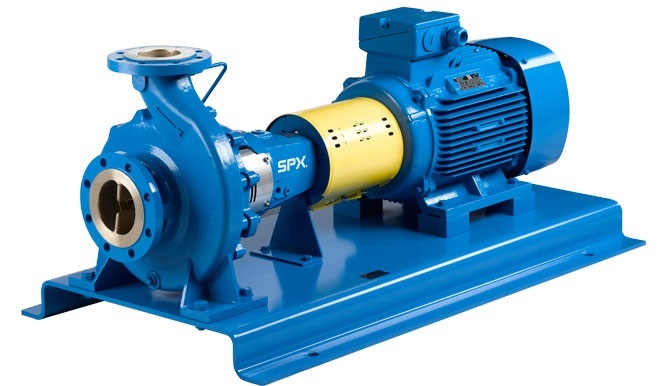 And while coming to Non-Self Priming pumps, these needs marines to be connected at the suction end to avoid priming, if there is no marine connected, then they may undergo priming and the impeller would run empty and there will be chance of pump failure. Usually these sort of pumps will be operated with open impellers. Now, you will have one more question in mind, what is Priming?? Priming is nothing but just formation of air gaps/pockets, which won't allow proper Pumping. So, Now you are Upto the Mark to go into the Actual Topic. HOW TO Select Pump and Motor, Line sizings. 1) Pump Capacity: Pump Capacity characterizes Upto which extent it can generate a flowrate, the flowrate it will usually define is for water. Basically the rate of Pumping depends upon the Impeller diameter and the Motor RPM. 2) Head: This seems very important, because without this our pump will be nothing, the pump greatness lies in the Head that it can pump. The key point here to remember is if the head of the pump is mentioned to be 20 meters then it can be used only upto that 20 meters, whatever the linesize it may be. 3) Motor Required: Motor requirement is nothing but the capacity motor which is compatible for this pump tow work with maximum possible efficiency. These are the main points in a specification to observe. Pump Efficiency can be calculated from the Ration of Water Horse Power to Brake Horse Power. Usually a Motor will work on Electrical Energy and generates Mechanical Energy, but not 100%, because it will also will have some factor of efficiency, this Efficiency depends on the Brake Horse Power of Motor, Rate of Pumping depends upon the Motor RPM. Efficiency of Motor = Shaft Power out[Watts] / Shaft power in [Watts]. How to find Order of Reaction ? How to find Energy of Steam? So, P = 30 x 1000 x 9.80665 x 20 / ( 3600000 x 0.9) = 1.816 KW = 2.43 HP. My required Motor capacity is 2.43 HP ( 1.82 KW ). For Pumping 30 Cu.m / hr, i need how much size?? D, mts = ( 1.2734 x Q / V ) ^ 0.5. How to Calculate Volume Occupied by the Torispherical Dish End? Hai...thank you very much...I have doubt... For high flow rate ..high line is required..at that time can we chose the velocity as 2.3? we may consider velocity as 2.3m/sec, but that would depend on the skin friction(Friction due to Wall), and the viscosity of the Solvent, and also on the bends in the line, if we need to develop pressure we can maintain the small line size. Anything Else....??? In my next post, i'll demonstrate the NPSH, It will be typical one for sure. 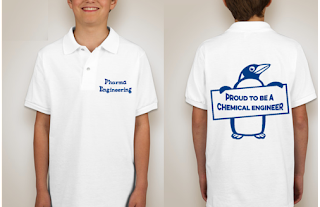 Welcome & Keep on visiting for more stuff. Usually the velocity will vary between 1.0 to 3.0 m/sec, so consider the middle case 1.2 to 1.5 m/sec, based on the velocity go on calculating the dia of line, that's it. Would Hagen Poiseulle's equation be applicable here to find the flow rate through different line sizes of pipe? how to calculate the power for screw pump? 5 Lts of distillation can be performed in small scale / lab scale, for that there is no need to calculation, simply go with 100 / 150 L/min vacuum pump.